Nintendo has released a new Super Mario Odyssey trailer that shows how the former plumber uses Cappy to his advantage in the game, a few of the mini games you can expect to enjoy, and takes a look at the new assist mode. 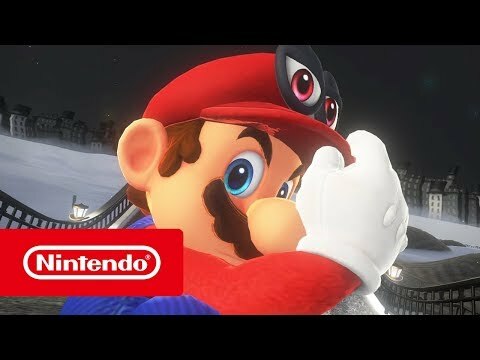 In the recently released overview that you can watch below, you can see Mario using his hat — Cappy to his friends — to gain control of enemies and vehicles, and as a helpful platform, or to reveal hidden items. You can also have a look at a few of the mini games you’ll get to play once it’s out including one involving a skipping rope, gloriously. On top of that there’s the co-op mode, which sees the second player control Cappy to help Mario on his journey, and the new Assist Mode. When playing with the Assist Mode turned on, arrows on the ground will guide you in the right direction, and if you fall off a platform, you’ll be immediately brought back to the surface you just fell off. There’s a bit in here that you’ll have already seen if you’ve been following the game, but as the name would suggest, this is an overview of all the features and delights you can expect on release, like all the aforementioned bits and bobs, as well as Photo Mode and the Crazy Cap stores that are found in each Kingdom. Super Mario Odyssey is out on October 27 on Nintendo Switch.